Ideal for public spaces of all kinds, the Twist Bike Rack plays on the shape of a double helix and echoes the curves found in nature. This uniquely shaped profile discourages tampering and allows for a multitude of locking point and configuration options. 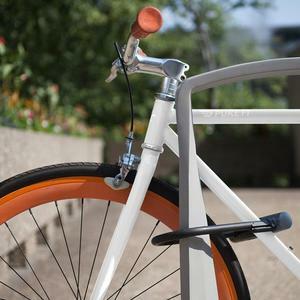 Twist is constructed of a robust corrosion-resistant aluminum casting with a cover plate that conceals the mounting and anchoring hardware. Choose from a variety of powdercoat colors to take the look from refined to whimsical and match branding, wayfinding, and other design themes. 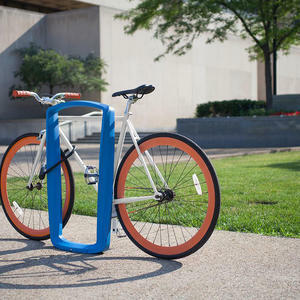 In addition to its distinctive design, Twist Bike Racks are built to perform in today’s public spaces. 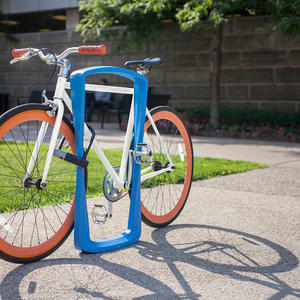 Twist works with standard U-locks, and meets Association of Pedestrian and Bicycle Professionals (APBP) guidelines to keep bikes securely parked. For additional information on the Association of Pedestrian and Bicycle Professionals and their recommendations and guidelines, we encourage you to visit the APBP website. Our versatile Twist Bike Rack complements a range of outdoor spaces. 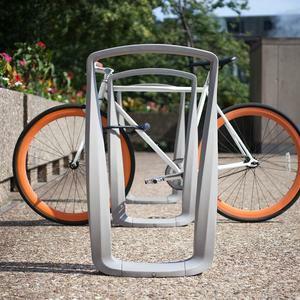 To learn more about the Twist Bike Rack and all of our Bike Racks visit our website or contact us for additional information.